As an example, to create a queue named MyQueue on Alibaba Cloud MNS as follows. Specify the attributes of the queue on the displayed dialog box, then click OK to create the queue. After MyQueue is created successfully, set the attributes of MyQueue. Click Modification settings in the action list to the right of MyQueue. 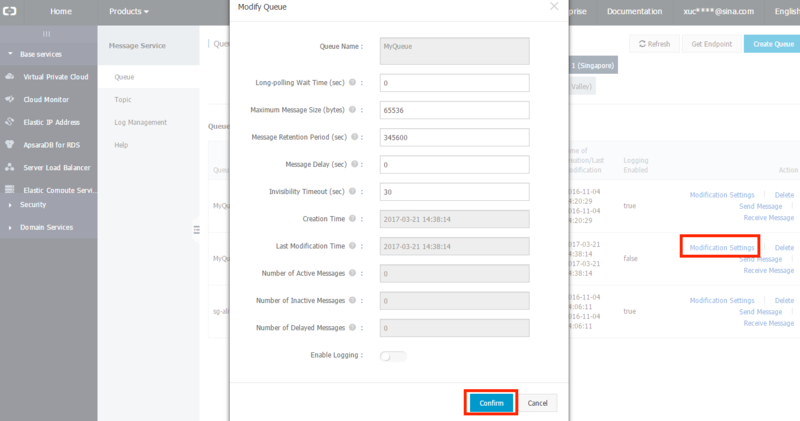 Modify attributes according to your demands on the dialog box displayed on the console, then click OK.
After MyQueue is created successfully, obtain the queue attributes of MyQueue. By default, basic queue attributes are displayed on the console. You can view them directly. List all queues with a given prefix under an account. Input the prefix in the Query Queue box, then click Search. All queues with the specified prefix are listed on the console. After MyQueue is created successfully, delete MyQueue. 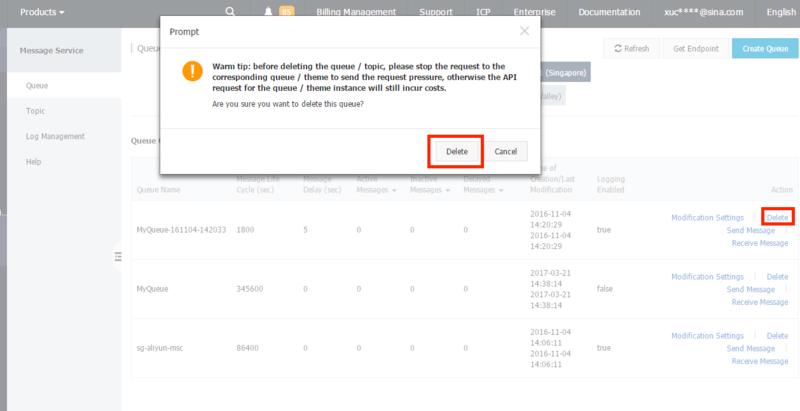 Click Delete to the right of MyQueue and click the Delete on dialog box to finish the deletion. After MyQueue is created successfully, send a message to MyQueue. 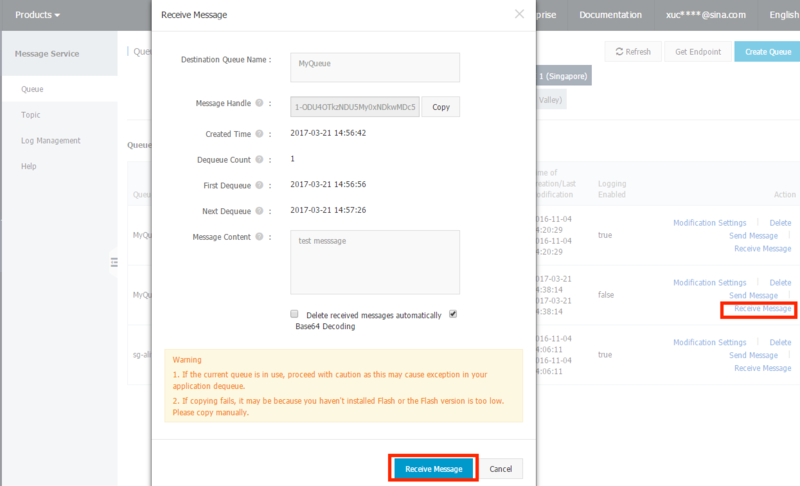 Click Send Message to the right of MyQueue and input the message in the displayed dialog box, then click Send message. 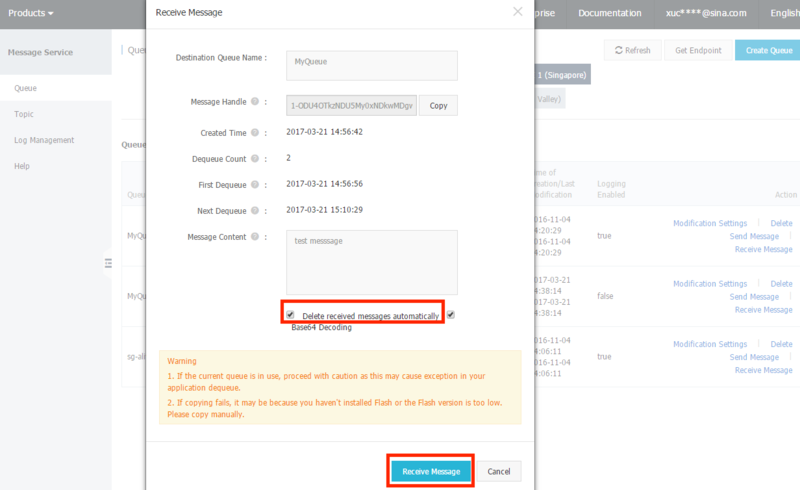 After MyQueue is created successfully, get the message from MyQueue and compare it with the message you sent to MyQueue. Confirm the consistency between the 2 messages and record the returned ReceiptHandle. Click Receive message to the right of MyQueue to check attributes of the received message displayed in dialog box. After verifying that the message is correct, use the ReceiptHandle you obtained in the previous step to delete the received message. In the Receive Message dialog box, select Auto delete received messages, and click Receive message. The current message is deleted, and the next message is obtained.